After holidays and time away from my artwork I have, at last, finished my latest painting. With a massive thank you to Nicola Oleotto for the use of the original photograph. 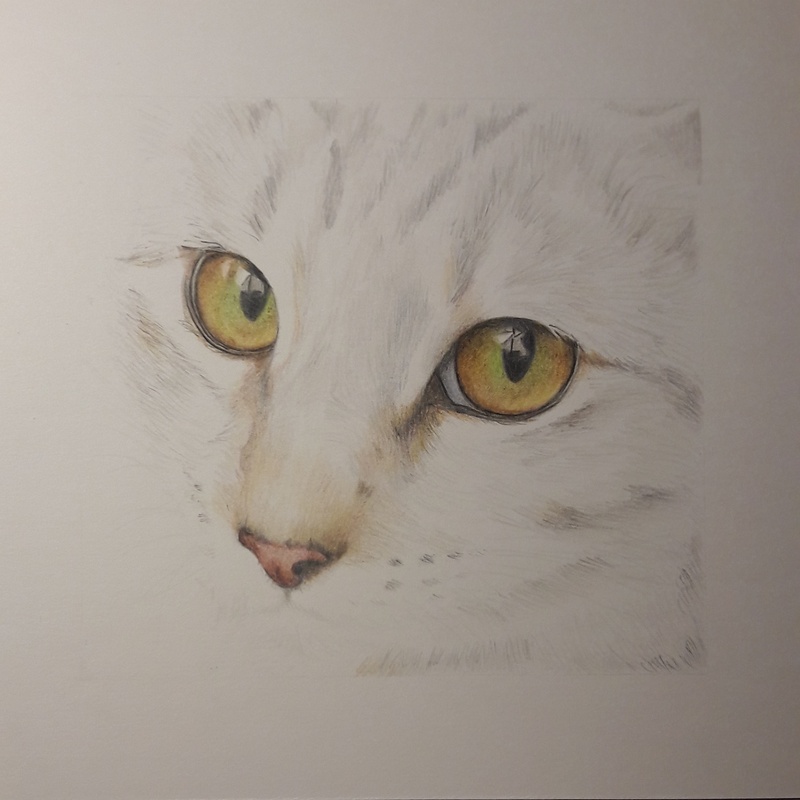 Since I started using coloured pencils 4 years ago, I have been wanting to draw this portrait again, so here is the finished drawing of Blink. With thanks to Naomi for the use of the reference photo. I first drew this cat 6 years ago but in graphite. 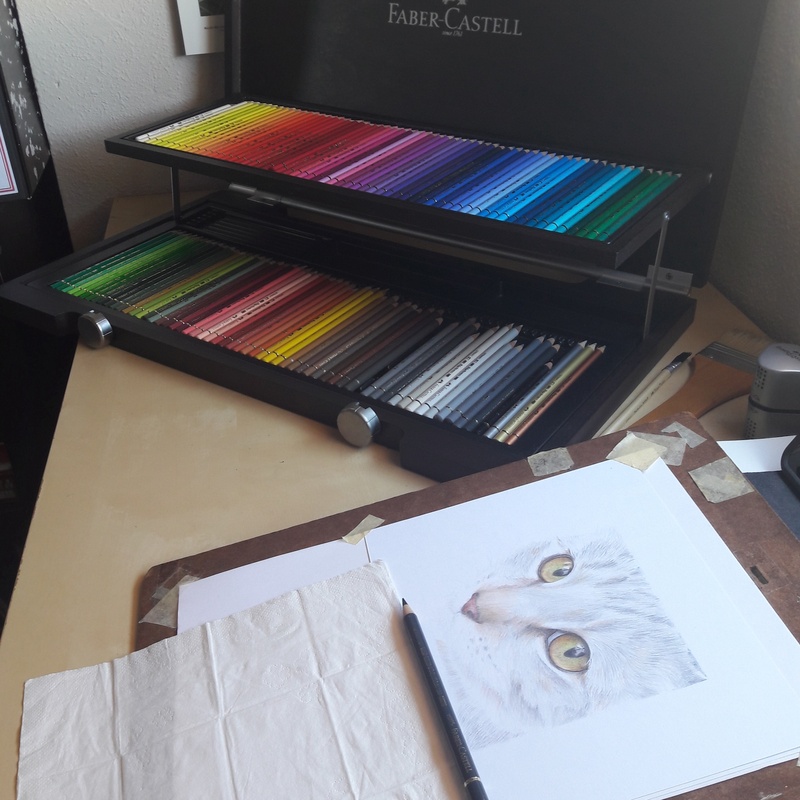 I have been wanting to draw it in coloured pencils, so this is where I am this afternoon. Using Faber Castell Polychromos on Bristol Board. 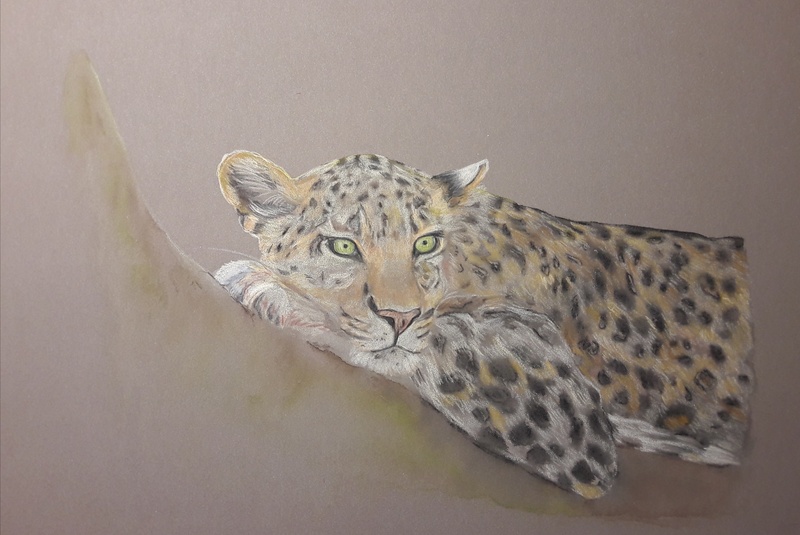 One of my Christmas commissions, which was greatly received with a fab response.